Let’s see together what needs to be done in order to add a section with up-sell products in your custom Thank You page. 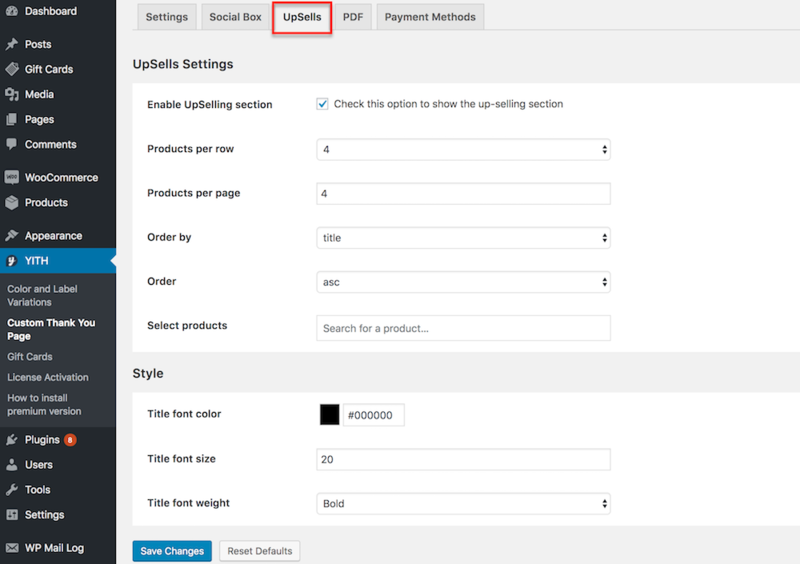 Go to the UpSells tab in the plugin settings panel. 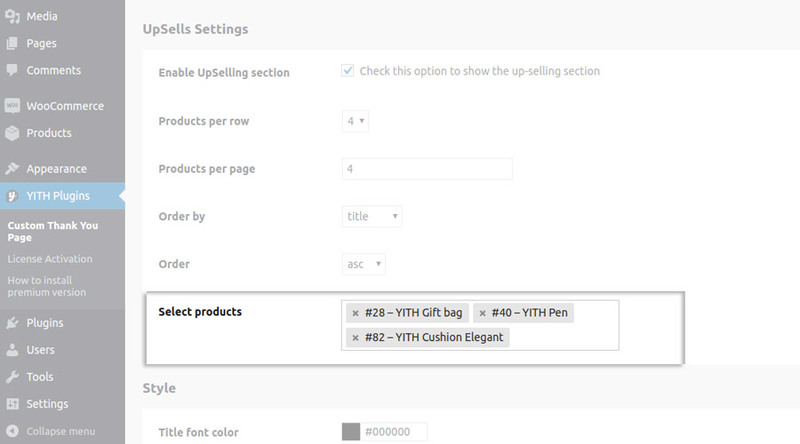 Pick the products the you want to show as UpSells from the “Select products” field. 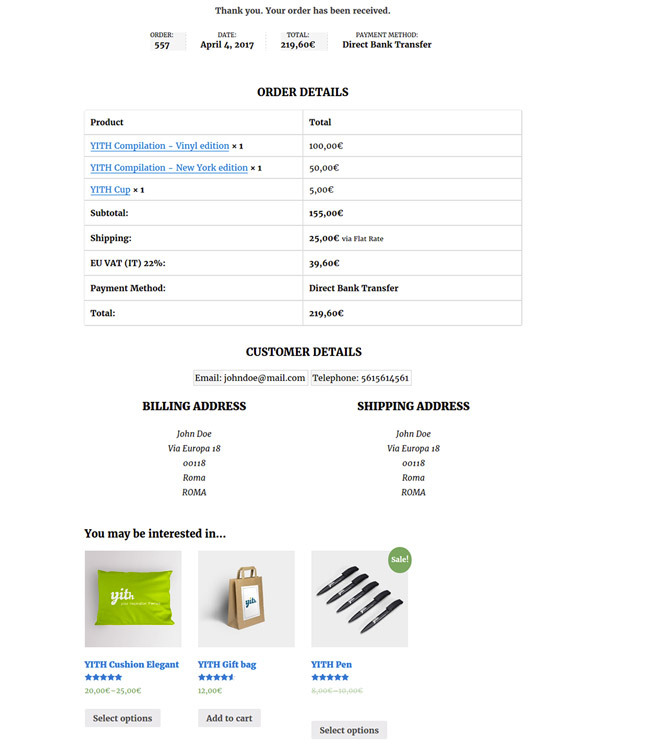 The products will be automatically displayed on your Thank You page, as shown in the image below.